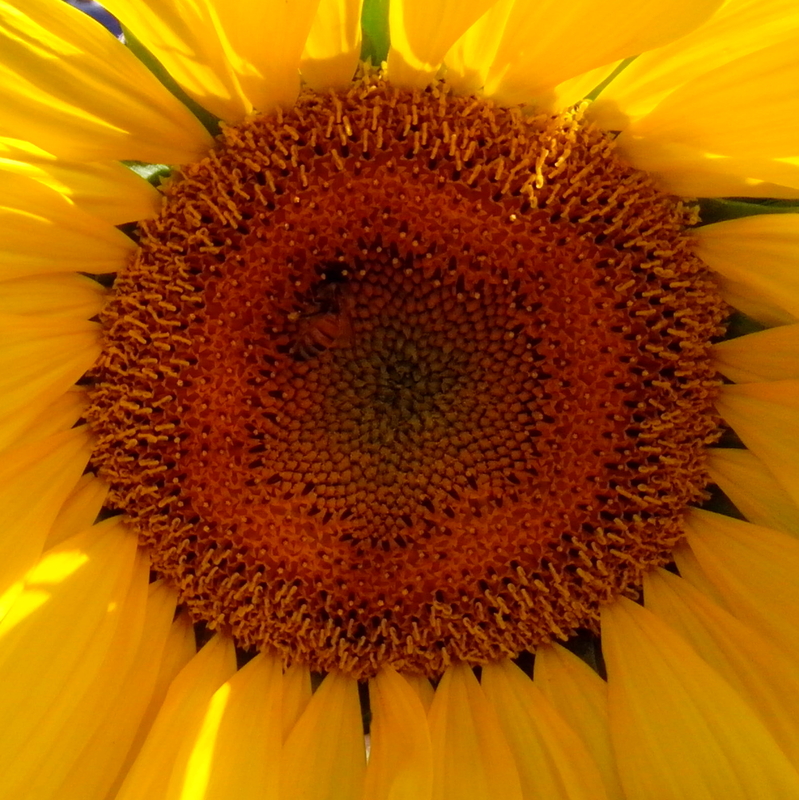 Sunflowers come in a variety of sizes and they all add a splash of sunshine to the garden and attract bees. They are easy to grow and an excellent way to introduce children to gardening. As Sunflowers are allelopathic, that is, they produce toxins that prevent the growth of other plants, care should be taken about the location chosen to grow them. The toxins are present in all parts of the plant and rain can wash them into nearby plantings and leach from the roots and the seeds that fall. The area affects extends 30 cm around the plant. If grown for flowers it is wise to deadhead before the seeds mature to prevent them spreading around the garden. They can be useful planted to keep some weeds at bay or planted along a wall or fence line. Choose a spot that gets full sun and is sheltered from winds. Sunflowers need 6-8 hrs sunlight a day. Sunflowers sown in spring will have a longer growing season and grow taller than those planted in summer. Plant the seeds 2.5 cm deep point down and sideways to stop them rotting. Water in the seeds with liquid seaweed fertilizer to promote strong root growth. If the soil is moist they will germinate in 5-10 days. When the plants are about 7 cm tall they can be thinned to the healthiest plants. Make a trench in a circle 45 cms from the stem to water the plant using manure diluted in water each week. Stake when planting tall varieties. The flowers can be harvested to encourage growth from side shoots. Cut the flowers in the early morning for the best blooms. The seed heads can also be harvested when the back of the seed head browns. Just cover with a paper bag and tie well and check periodically and when fully dried cut and store hanging down.